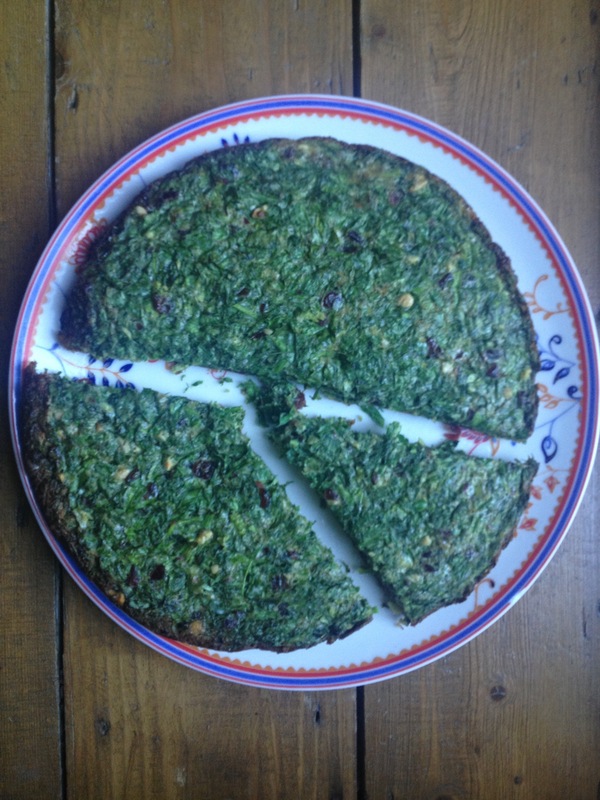 Yesterday my hungry belly and mind dug up a craving for a Persian frittata we recently tried in Bristol. I was reading about the Persians reaching the coastline of Pelion in ancient times in a book by Kostas Akrivos about Alfons Hochhouser, the Austrian pioneer of Eco tourism in Pelion. Funny how even historic facts turn to recipes in my world. Kuku is an easy and delicious recipe. 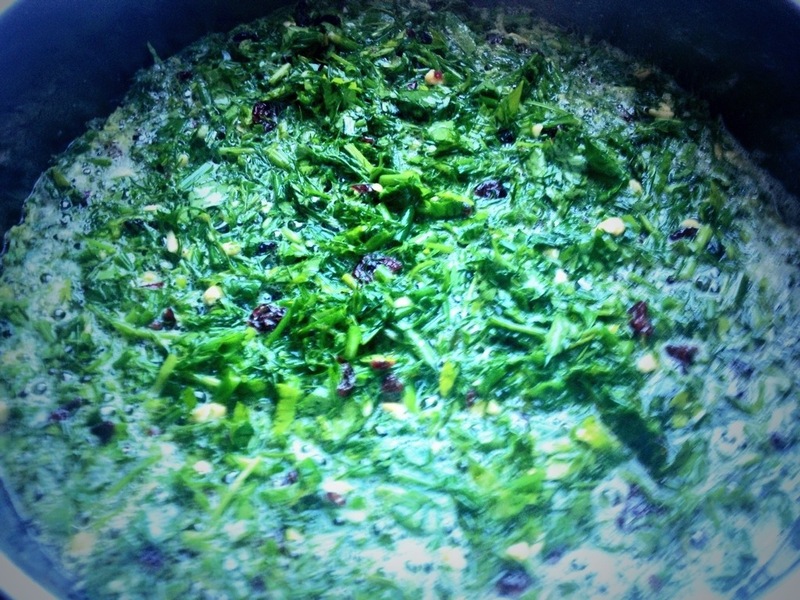 You need a large quantity of mixed herbs and eggs but the rest is very easy. It took me about 20 minutes to make. The result is a fragrant, beautiful and tasty dish! Add the salt, pepper, garlic and mix. Add the herbs , cashews and cranberries and mix. Pick a frying pan that can be placed in the oven and melt the butter. Pour the mixture in and lower temperature. Fry for a couple of minutes until the sides start firming up. Then place in the oven for 5 minutes in high temperature until it firms up. Remove cool down and eat. 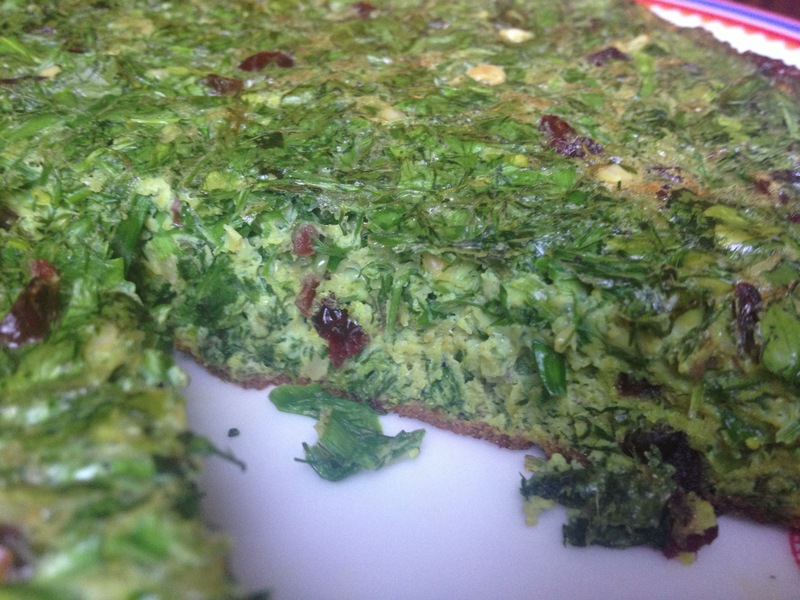 This entry was posted in Recipes, Vegetarian and tagged eggs, Frittata, herb frittata, liaskitchen, Persian recipe.